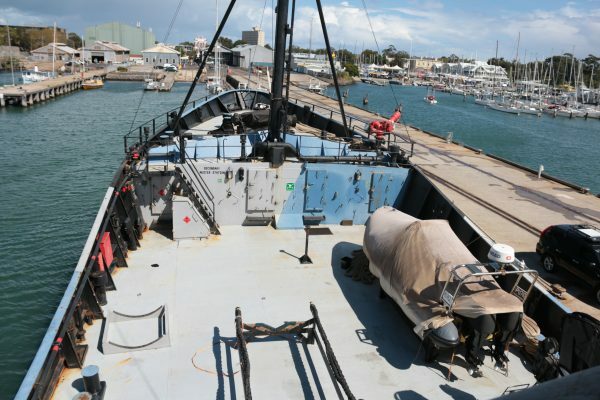 The Sea Shepherd Conservation Society has retired its flagship vessel, the MY Steve Irwin, and has flung open its doors to give the public a look inside the group’s most battle-hardened vessel. Currently docked in Williamstown, Sea Shepherd volunteers last weekend gave Hatch a tour of the ship before its ultimate fate is decided. Built in 1975 for Scottish fishing authorities, it was purchased in 2006 and converted for use in Sea Shepherd’s anti-whaling campaigns in the southern oceans of Antarctica. During its service it sustained damage from crushing ice, ocean storms and multiple incidents of ramming and being rammed. ‘The Steve’ has plenty of scars to show and stories to tell. Originally named the MY Robert Hunter after the Canadian co-founder of Greenpeace, it was renamed the Steve Irwin after the untimely death of the beloved Australian conservationist in 2007, who had planned on joining the crew on their next Antarctic campaign. Known for its speed and ability to land a helicopter, the Steve Irwin was used to track and intercept whaling ships as they tried to unload their catches to the Japanese processing ship Nisshin Maru. Multiple ramming incidents involving the Nisshin Maru and Sea Shepard were reporting throughout the Steve Irwin’s careers and often involved flashbang grenades being exchanged by both sides in pitched battles on the high seas. During the 2007 campaign know as Operation Mingaloo (named after the only albino humpback whale), Sea Shepard deployed devices to entangle the propellers of whaling ships in an attempt to stop them operating in the southern oceans. Two Sea Shepherd members, Benjamin Potts and Giles Lane, boarded the Japanese vessel Yushin Maru No. 2 in hopes of sparking an international incident, and were held for two days by the whalers before being turned over to Australian authorities. This highly-publicised campaign saw the Steve Irwin take the focus as Sea Shepard appeared on their first season of Whale Wars, a reality TV series that featured on Animal Planet. After a long and battle-hardened history, the Steve Irwin embarked on its final official mission in 2018. Operation Adani Reef Defence aimed to protest the shipping of Adani coal through the Great Barrier Reef. Sea Shepherd’s Nathan Birch says technology has made it difficult for the group to continue its highest-profile campaigns. Sea Shepherd claims over 6,000 whales of various species were saved each year due to their action in the southern oceans. 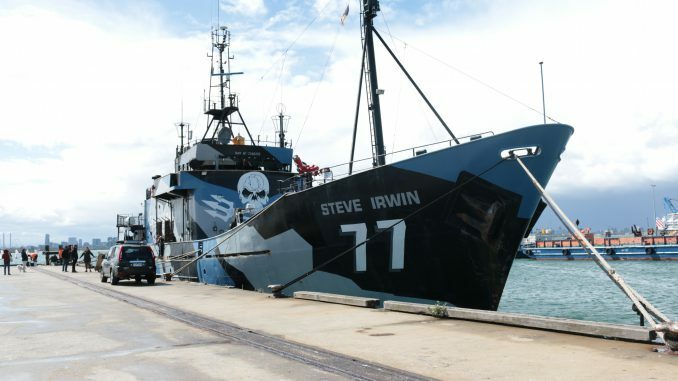 After 11 years in service, engineers deemed the Steve Irwin had a buckled hull and declared it unsafe to continue leading the Sea Shepherd fleet. Initial plans suggested the vessel would be scrapped, though no final decision has been made. The most insta-worthy spot in Victoria?